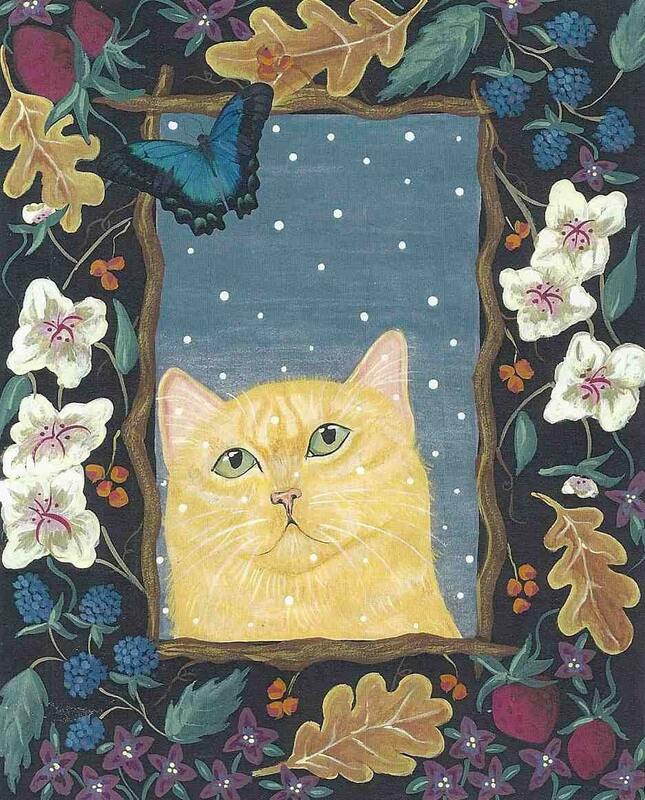 This kitty is here to help you celebrate no matter what the season is.The original painting was titled "Four Seasons." I think this notecard would be appropriate for any time of the year. Each card measures approx 4"x5" and comes with a white envelope in a clear cello sleeve. The card is blank for your own special words. It will be mailed in a Kraft brown paper envelope with "do not bend" instructions.